The STX Group of South Korea continues to try and fill every role in the shipping spectrum. 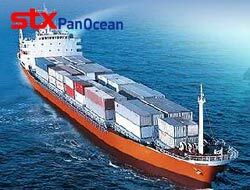 Its shipping line STX Pan Ocean has announced that it had applied to the country's Financial Securities watchdog to establish an investment bank that will specialise in raising funds for shipping and shipbuilding. If approval is granted, the company said that the new financial institution would not necessarily be used to finance STX Pan Ocean's newbuilding programme.